For IT News Week 3 Sep 2017. Commvault, a global leader in enterprise backup, recovery, archive and the cloud, today announced it has been positioned by Forrester as a Leader in The Forrester Wave™: Data Resiliency Solutions, Q3 2017. Commvault received the highest score in the Current Offering category. The HUAWEI Consumer Business Group unveiled the latest addition to its nova family, the new nova 2i. The new device features HUAWEI’s first quad cameras, smart ambient front flashlight and 5.9-inch edge-to-edge display, perfect for photography and ‘selfie’ enthusiasts. Engineered with 4GB RAM and 64GB ROM, the nova 2i is set to make an impression on young and dynamic consumers who lead an energetic, healthy and independent lifestyle. The launch of the nova 2i inked a collaboration with tenacious singer and actress, Hannah Delisha, where she performed a brand-new nova series-themed song. “I am ecstatic to be the ambassador of the nova series, representing a product that is dynamic, cool and savvy. It fits perfectly with my fast-paced lifestyle. The twin cameras on the front and back of the nova 2i enables me to capture stunning images and videos effortlessly, making the sharing-my-stories a breeze. The bezel-less display provides the perfect visual experience, giving me full visual enjoyment on-the-go,” said Hannah Delisha. Western Digital Corporation, a global data storage technology and solutions leader, today announced the availability of the WD Blue 3D NAND SATA SSD and SanDisk Ultra 3D SSD in Malaysia. As the world’s first client solid state drives built with the company’s 64-layer 3D NAND technology, the new SSDs deliver lower power consumption and higher performance, endurance and capacities. Targeting DIY enthusiasts, resellers and system builders, the WD Blue 3D NAND SATA SSDs boast an industry-leading 1.75M hours MTTF, as well as the quality backing of WD Functional Integrity Testing Lab (F.I.T. Lab™) certification. The SanDisk Ultra 3D SSDs on the other hand, are intended for gaming and creative enthusiasts who want to improve their PCs. The product delivers enhanced endurance and reliability, no-wait boot-up, shorter application load times, and quicker data transfer. Available at select retailers in Malaysia, both products feature a three-year limited warranty. Manufacturer’s Suggested Retail Price (MSRP) starts at RM 620 for 250GB, RM 1,100 for 500GB, RM 2,000 for 1TB and RM 3,800 for 2TB for the WD Blue 3D NAND SATA SSD and SanDisk Ultra 3D SSD 2.5-inch/7mm version, and starts at RM 640 for 250GB, RM1,150 for 500GB, RM 2,100 for 1TB and RM 3,950 for 2TB for the WD Blue M.2 2280 version. To fulfill the market needs of a faster and more convenient way of grocery shopping, 11street announced the launch of Mart 11 - its first campaign with a promise of 48-hour delivery within Klang Valley as one of its new commitments towards enhancing the grocery shopping experience in Malaysia. One of Asia’s largest life insurance company appointed Dimension Data, the global ICT solutions and service provider to redesign its IT enviroment. The upgrade addresses network bottleneck, system contrains, and enhanced security capabilities. Driven by enhanced service capabilities and data centre backbone access, the insurance provider is also enjoying up to 20% savings in WAN link costs. 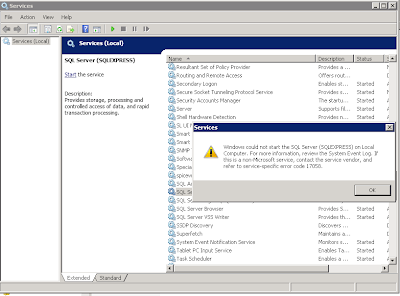 The refreshed network is also equipped with new, stronger security capabilities for an assured e-business application experience. Microsoft has reinvented the modern workplace concept with the launch of Microsoft’s brand-new Surface Pro. 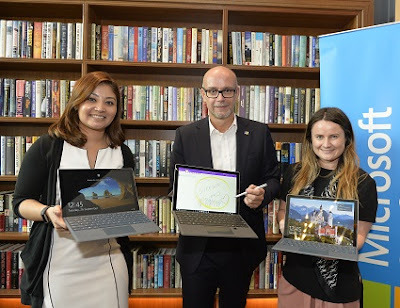 Tagged as Microsoft’s “most versatile laptop” the device which is the latest generation of its iconic Surface product line, has been redesigned from the inside out to deliver better performance and battery life than ever. 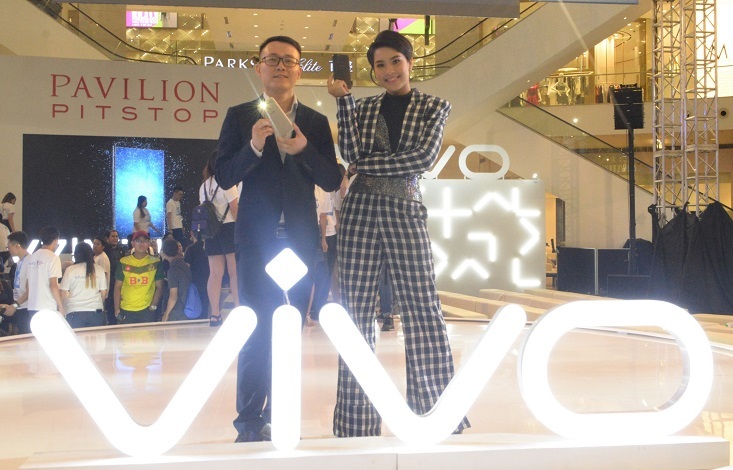 vivo, a young leading global smartphone brand, today unveiled its latest flagship V7+ in Malaysia, the first selfie shooter with 24MP front-facing camera that has LED flash and FullViewTM Display. The latest member of the successful V series, embodies exceptional photography features, screen quality and overall design to empower the self-expression of media-savvy consumers. Understanding the needs of today’s youth, the new V7+ ups the selfie game, letting users capture and vividly showcase their memories. Taking the perfect selfie to a new level, its 24MP front camera and smart photography algorithms are a quantum leap forward, generating crystal-clear and more natural-looking photos. For example, the Face Beauty 7.0 feature brightens up and creates even complexions in selfies despite being used in dimly-lit environments. Portrait Mode in the V7+ adds background blurring for sharper contrast and visual appeal to generate stylish selfies. V7+ will be available on 29 September 2017, in Crown Gold and Matte Black at RM1,499 through vivo concept stores, partner stores and e-commerce marketplaces. 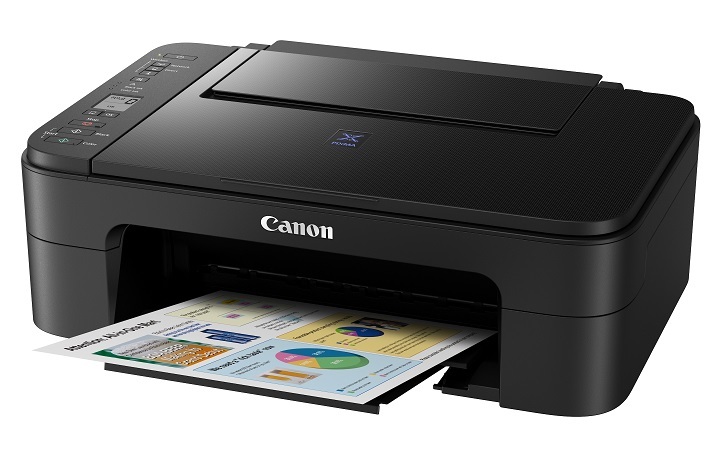 Canon Marketing Malaysia, a leader in digital imaging, today announced the addition of the new PIXMA Ink Efficient E3170, equipped with low-cost, high yield ink cartridges for students and home offices. The PIXMA E3170 delivers high-volume, low cost printing at up to 400 monochrome documents, and 180 pages for colour documents. With its built-in Wi-Fi capabilities, the E3170 can be installed in any home within a local wireless network and is able to support direct wireless connection to smartphones and tablets for printing of documents and photos. It’s the time of the month again with ‘Pay Day’ just around the corner! From now till 2 October 2017, you can now purchase and own one of the bestselling, value-for-money, Motorola smartphone at an exclusive promotional price! Retailing at a promotional price of RM1,099, the Moto G5 Plus comes bundled with free gifts worth RM676 in value (flip cover, Motorola Pulse 2 headphones, extended warranty, accidental damage protection). This special promotion is only applicable at Motorola Malaysia Official E-Store (http://www.lazada.com.my/motorola-malaysia-official-store) on Lazada Malaysia, from 25 September to 2 October 2017. Motorola Solutions Foundation, the charitable arm of Motorola Solutions, has for the fifth year in a row selected INTI International College Penang (INTI) as one of the recipients of its global grant. 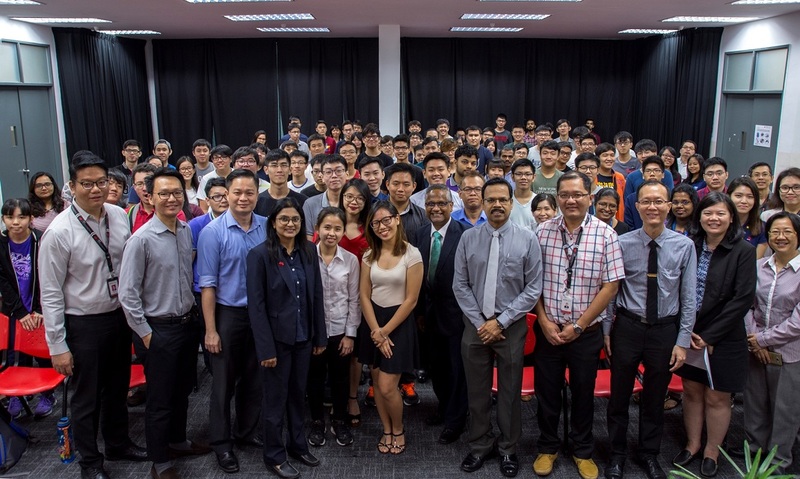 Valued at USD 35,000, the grant seeks to benefit communities and institutions, and was awarded to INTI for its efforts in advancing science, technology, engineering and mathematics (STEM) education within the Penang State. 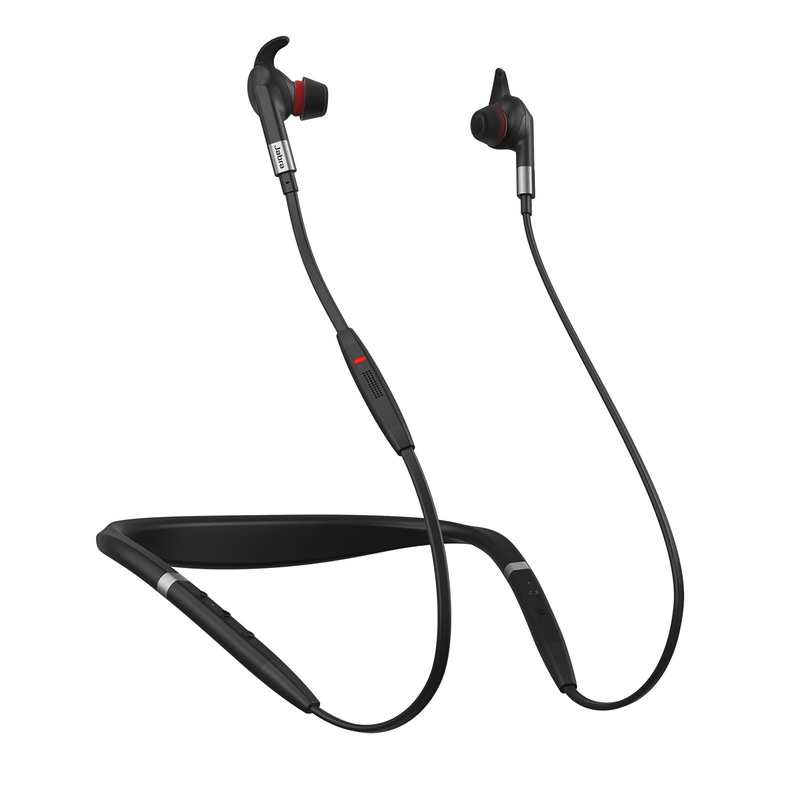 Jabra, a leader in professional communications and sound solutions, is extending its market-leading Evolve range of headsets for professional use with the Jabra Evolve 75e – for the first time adding an earbud design to the range which has sold over 2.5 million units worldwide. The Evolve 75e’s design brings a familiar consumer design into a professional environment and still includes all the winning signatures of the Evolve range: wireless freedom, great sound, UC-compatibility, ANC and busylight. The earbud form factor power bundle is the ultimate business tool for sound and freedom helping to maintain collaboration, concentration and productivity in busy, open place offices without the need for designated quiet rooms. Software AG, a leader in many innovative and digital technology categories, was named a streaming analytics leader by Forrester for its Apama Streaming Analytics Platform. This highlights the capabilities of Software AG in the industrial IoT space where Apama was recognised as a broadly applicable and perennially capable streaming analytics platform. Software AG reiterates that its Apama Streaming Analytics Platform is a core module of Software AG’s Digital Business Platform, an integrated set of powerful technologies, capabilities and methodologies for managing digital transformation and for reshaping business designs that enable an enterprise to be more data-driven, customer-obsessed, hyper-connected and super-agile.